The State’s bad bank is aiming to wind up ahead of schedule. NAMA EXPECTS TO wind up its operations in three to four years, slightly ahead of schedule because of the “strong improvement” in the property market. The State’s bad bank says that it is targeting end-2017 or mid-2018 as its end date, adding that it will help address the housing shortage in Dublin before then. As of today, Nama has so far redeemed 50% (€15.1bn) of senior debt. A target of 2016 was originally set for this. The bad bank is now aiming for 80% by 2016. 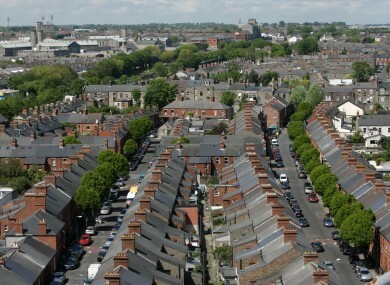 “Achieving this 80% target will require a substantial volume of NAMA loan and asset disposals in Ireland as well as Britain and elsewhere; for the most part, sales will involve commercial assets (offices, retail, hotel and leisure and industrial assets) or loans secured by commercial assets,” Chief Executive Brendan McDonagh said. Nama says that the land it controls in the Dublin Docklands could be developed to “make a substantial contribution towards” reducing the shortage of accommodation in Dublin. In its 2015 policy statement, Nama says that the improvement in the commercial property market this year and last year has allowed them to speed up the sale of the assets. They say that the resultant increase in sales has also allowed them to contribute to one of their objectives, namely the renewal of a sustainable property market. But the acceleration of Nama’s sales has been questioned Labour Senator Lorraine Higgins who says that the taxpayer may be “missing out on potentially higher revenue” by selling assets too early. Higgins cited the example of a site in Dublin’s Docklands which was sold by Nama for €7.5 million in June 2013 and subsequently resold for €17.75 million in August this year. Nama has also reaffirmed its commitment to facilitating the completion of 4,500 new homes before the end of 2016. The agency estimates that approximately 1,000 will be completed this year, 1,500 next year and the remaining 2,000 in 2016. Email “If all goes to plan, Nama will be no more in four years”. Feedback on “If all goes to plan, Nama will be no more in four years”.